A bit of a daft name, I suppose.... the Flug ..... but I couldn't think of anything more appropriate for a flying plug, a small plug which is designed to be fished on a fly rod. Now you might say, "Why on earth would you want to fish a plug on a fly rod?" and you might well have a point. 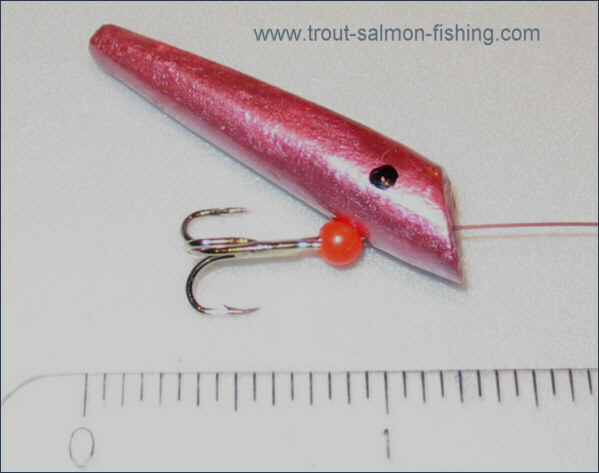 The kind of plugs with which we are familiar on salmon rivers - such as Canadian Wigglers, Rapalas and Kynoch Killers - can be fished very effectively on a spinning rod. They are particularly effective in the cold waters of early spring and late autumn, perhaps harled from a boat to reach deep lying fish. These large plugs, like other lures designed to be fished from a spinning rod, the Toby and the Flying C for example, can also be effective at other times in the season when, in a high, coloured river, only an optimist would fish a small fly with any real hope of success. Nevertheless, I have a liking for the fly rod and, wherever possible, will resist the temptation to pick up the spinning rod, however hard the conditions. Now I realise full well that a standard salmon fly might not be the best option in such adverse conditions. 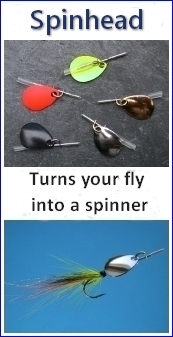 So I have experimented with various devices which might be fished on the fly rod in conditions of high, cold water with some hope of success, lures like the Spinhead, for example. 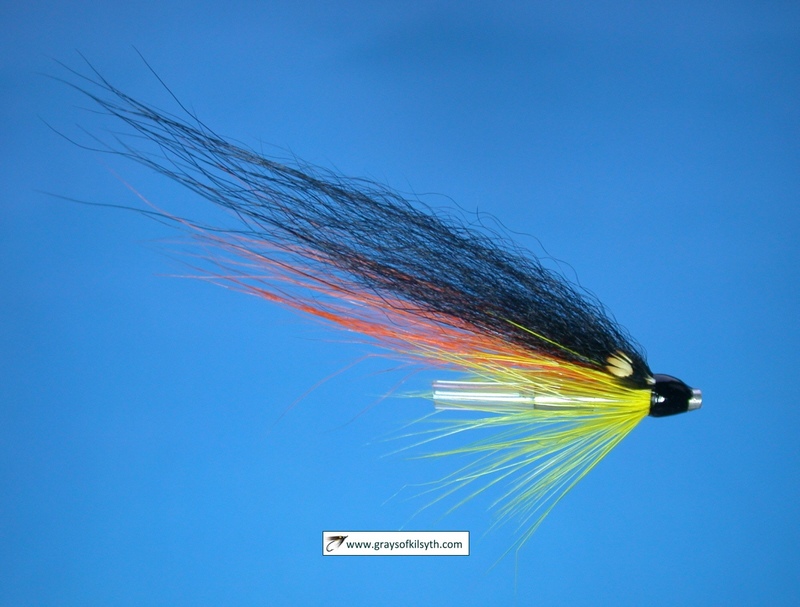 The Flug is another such lure, which might provide yet another weapon in the armoury of the dedicated fly fisherman. The main advantage of the Flug is that it can be fished at a depth of a few feet without the need for a fast sinking line and weighted fly. To give an example, in the cold, high water of early Spring, we might wish to get our fly down several feet to allow us to swing our fly enticingly in front of the nose of a lethargic salmon. The traditional set-up for this might be a two or even three inch heavy copper tube fished on a fast sinking line. Casting such a combination holds little appeal for me. So I looked for an alternative which might allow me to fish my lure at depth but without the need for a heavy line and heavily weighted lure. 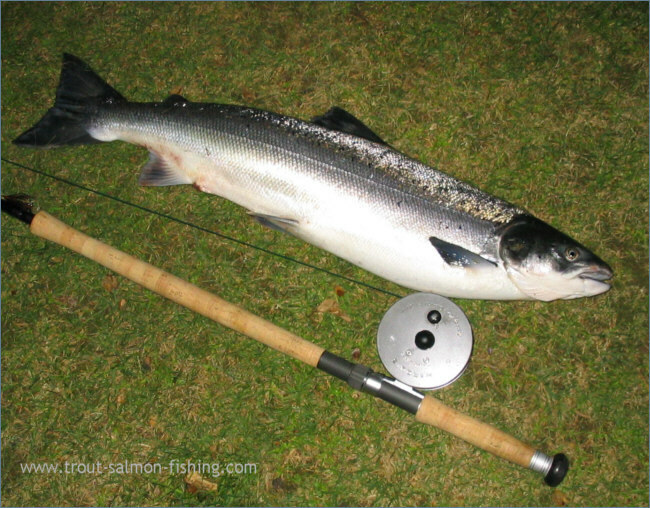 I remembered, many years ago, using the famous Kynoch Killer to good effect on the River Tummel to take two spring salmon from a deep run in which the Kynoch, it seemed, was one of the few lures which could be fished deeply enough to reach the fish. 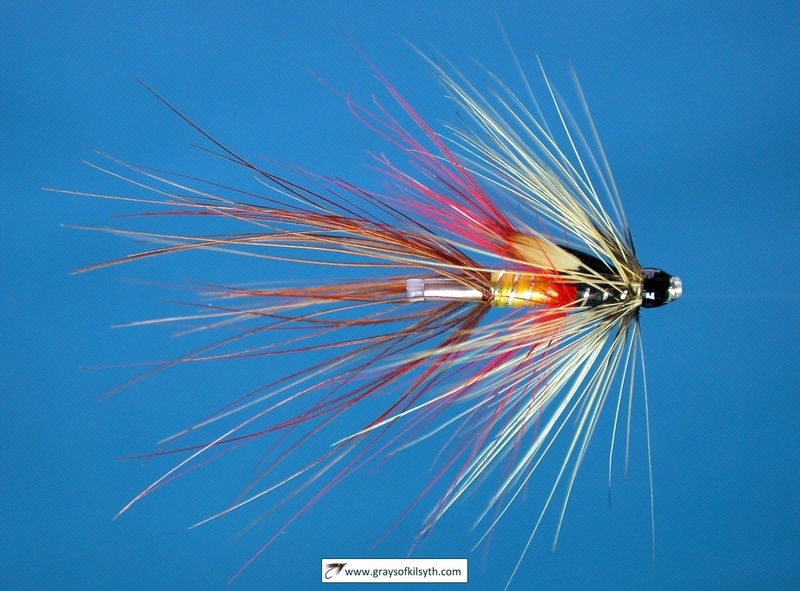 The Kynoch Killer, a diving plug with a most lively action, was simply held in the stream at various points by giving a yard or two of line now and again. In this way, the whole stream could be covered from a convenient point directly upstream of the lies. 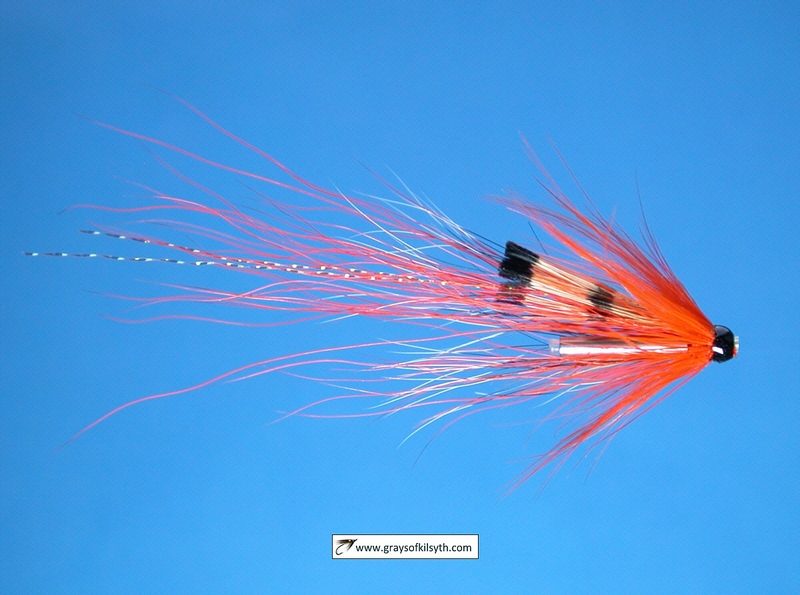 The Kynoch Killer, in the normal sizes, is best fished using a spinning rod and reel. 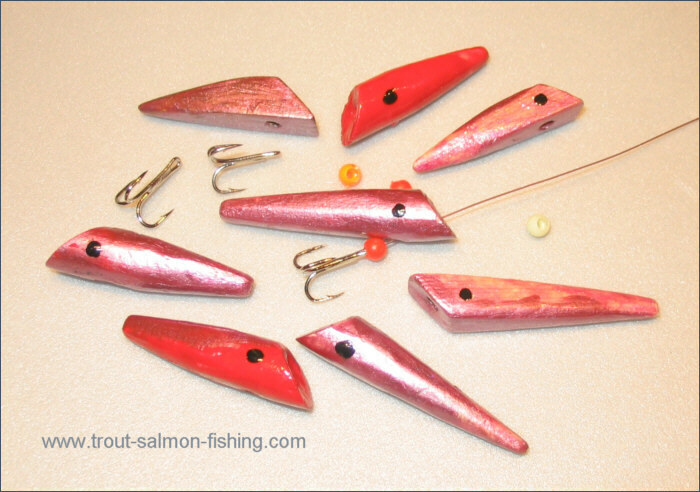 I thought, however, that it should be possible to make a simple diving plug, a smaller lure than the Kynoch, from wood or some other buoyant material, which would be light enough to cast on a fly rod. I experimented with various materials, such as foam and plastic tubing, but found that wood, in the form of dowelling with a diameter of one centimetre, was the most suitable material. It had the essential buoyancy and was easily shaped using knife and sandpaper. The shaped Flug is then easily painted and varnished to any desired colour. In early trials, I found that the diving properties of the Flug were greatly affected by its shape and by the position and angle of the hole drilled through the front face of the lure. A long slim lure was found to dive quite effectively but with little in the way of an attractive wiggle. A short fat lure had more action but was less stable. Such a lure tended to rise more easily to the surface, making it less suitable for use in a strong current. 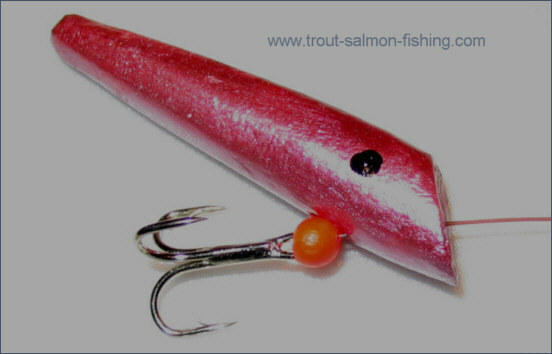 If the hole is drilled high on the face, the lure again tends to be less stable. If the hole is drilled too low, the lure is more lifeless. Having experimented, then, with various shapes and sizes, I have, for the time being at least, settled on the kind of Flugs shown in the accompanying photographs.